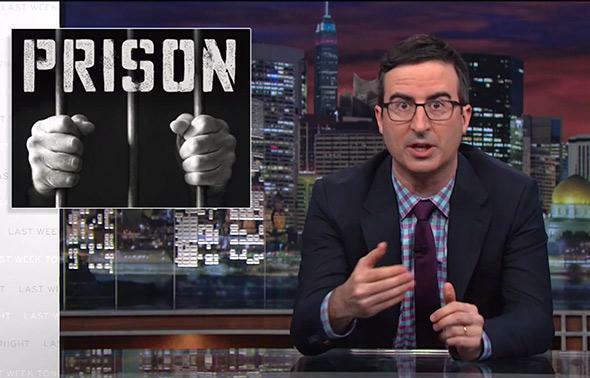 John Oliver’s Last Week Tonight and the art of the viral rant. Three months in, Last Week Tonight is the perfect news show for now. On the second episode of HBO’s Last Week Tonight, which premiered at the end of April, the show’s host, John Oliver, introduced a segment about the death penalty on a slightly apologetic note. “I know what you’re thinking,” he said in advance of the 12-minute piece. “You’re not really going to do a comic take on the death penalty? It’s your second episode! I’m not even sure I like this show yet.” But 10 weeks later, it’s clear the kind of person who wants to sit through a comic take on the death penalty is exactly who Last Week Tonight is made for. Incisive, earnest, and, yes, also funny, Last Week Tonight is some supremely watchable wonkery: a curator of news, a filterer of junk, a purveyor of the silver lining, the perfect—and perfectly on trend—news show for now. Oliver’s series arrived on HBO this spring with both significant structural freedoms and constraints. Airing on premium cable, Last Week Tonight would never have to air commercials, but airing once a week, it could never keep pace with daily news and news-humor organizations—like, for example, The Daily Show, where Oliver worked for seven years. The solution the show cannily identified from the start was a 10- to 20-minute segment on a specific, often eggheady topic—one that had perhaps been eschewed by other media organizations for being complicated, dull, vast, and/or otherwise anathema to humor. Since the show began, Oliver has taken on income inequality, America’s prison system, FIFA’s corruption, and the Indian election, among many other topics. He has turned a weakness—he lacks the speed of The Daily Show—into his calling card: If he can’t respond to the moment-to-moment news cycle, he’ll deal with the underlying issues behind the news, the issues that never go away, in jaunty, in-depth considerations of serious topics other shows are too commercial-filled to take on. Call them long rants, or, maybe even more accurately, #longrants. Oliver doesn’t seem to think instruction should necessarily end with you learning—it should end, perhaps, with you doing something. There is an activist streak in Last Week Tonight. A long segment on net neutrality ended with Oliver, very humorously, encouraging awful Internet commenters to finally put their skills to benevolent use and flood the Federal Communications Commission’s feedback site. (The site was soon overloaded.) Last Week Tonight, jokey as it is, is fundamentally earnest: It’s calling out everything from FIFA to absurd attack ads to make you laugh, but, maybe, to make change. Some of the long rants are better than others. When his topics are contained—net neutrality or the marketing of dietary supplements—Oliver’s treatment is sharp, concise, funny, and on point. When the topics are as big as, say, income inequality, the treatment can get a little unwieldy. If you have done any basic reading about income inequality in America, Oliver’s segment on the subject did not tell you anything new. Presumably, with the more specific subjects, the well-versed are hearing familiar points, too—but if the well-versed are also liberal, it is likely they will admire Oliver’s presentation of the material and may even start passing it along themselves as a primer. If you watch enough of Oliver’s long rants, you will begin to see them as the brilliant apotheosis of all sorts of contemporary ideas and trends about what a modern-day news-purveying organization is supposed to do. Like Vox and other practitioners of trendy data journalism, Last Week Tonight operates as an explainer, breaking down big subjects to their most essential points: Here is everything you need to know to understand net neutrality; here is everything you need to keep in mind about the death penalty. As with the sites devoted to longform, Last Week Tonight fetishizes length—in fact, it makes length the viral component—while acting as a trusted counterweight to the frenzy and speed of the Internet. Like almost all political outlets, red or blue, Last Week Tonight is aimed directly at the choir. (My colleague Dave Weigel has noted that Oliver has started to accrue the “nailed it!” and “he destroyed it” hosannas often reserved for Stewart.) And, to cap it off, it delivers all of this with a positive spin, the TV equivalent of the cheerful Upworthy headline. Part of Last Week Tonight’s positivity springs from Oliver’s own attitude. He uses his Britishness to great effect. He loves America like only an outsider can. Even when he criticizes us, he does so from a place of admiration. If we (and he is assiduous about using that “we” to describe himself as well) are under the dangerous illusion that we will all be rich one day, at least that is because we still have hope—unlike the Brits, whose strict class system has long since destroyed such naïveté. Part of the show’s positivity also springs from a tone of cheerfulness, one that serves to leaven even the truly bleak subject matter: At the end of his segment about the death penalty, Oliver shared, as he’d promised, a video of a tiny hamster eating a tiny burrito. But the positivity isn’t a put-on. We’re not just short-attention-span rats in search of our next click fix. We want to know about the pressing, uncomfortable, messy, difficult big issues of the day so much that we have helped many of Oliver’s long rants go viral. The show’s online reach is proof, enervated though it may be, that there is an audience that wants to engage with complex issues, no matter how upsetting. John Oliver is fighting the good fight: If you can’t join him, at least you can watch him.